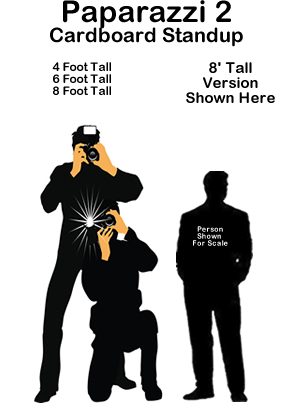 Hollywood Clapboard Cardboard Cutout Standup Prop - Dino Rentos Studios, INC. 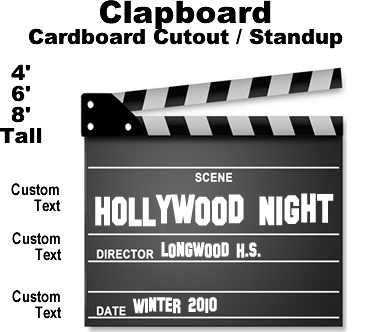 This Hollywood Clapboard Cardboard Cutout Standup Prop is great for any Hollywood themed display or production! Add your custom text! Fill in the boxes below with your custom text.